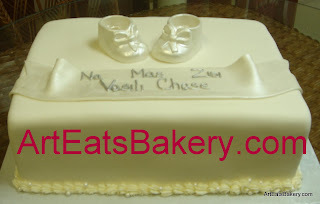 Wedding Wire Brides Choice Award 2013, 2014, 2015 & 2016. 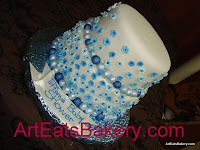 We are still David's Bridal's preferred wedding cake vendor. 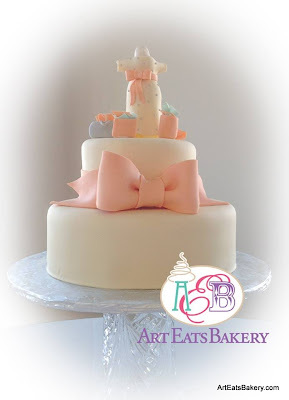 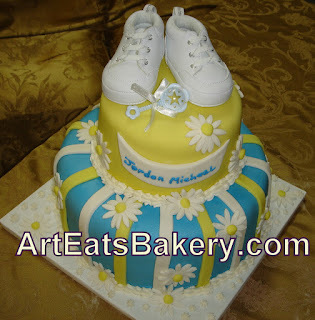 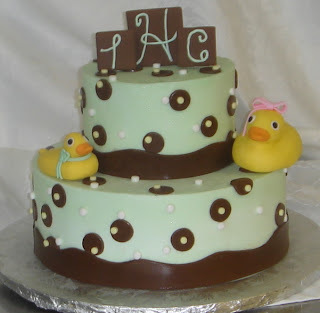 Below are great ideas for both boys and girls baby shower cakes! 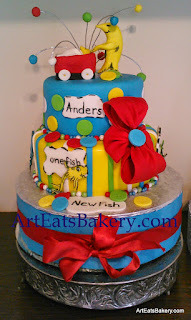 These are creative, modern and colorful designs. 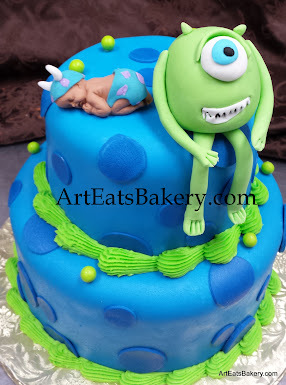 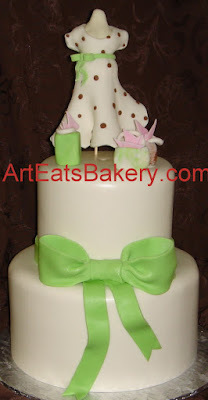 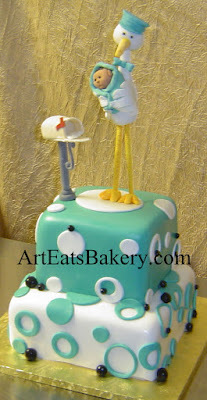 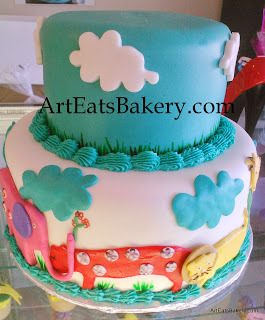 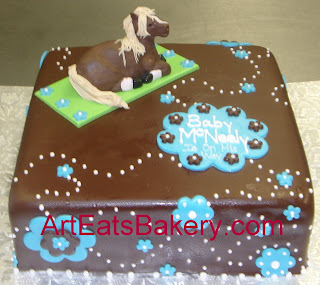 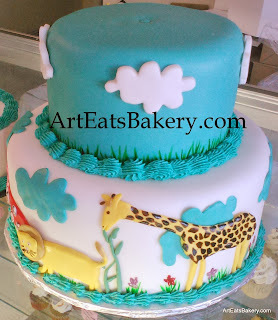 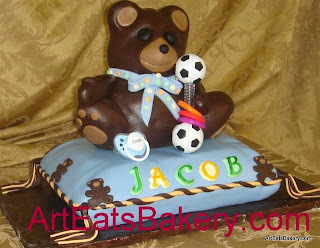 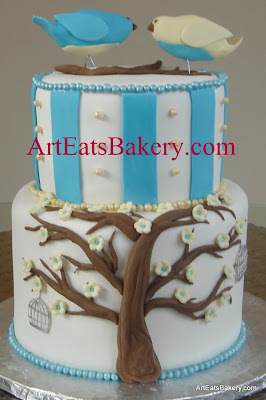 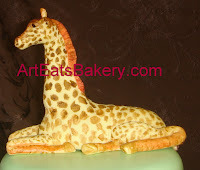 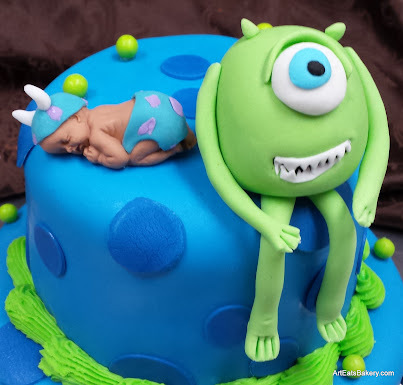 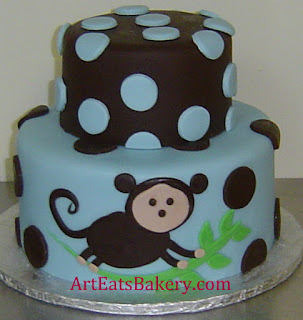 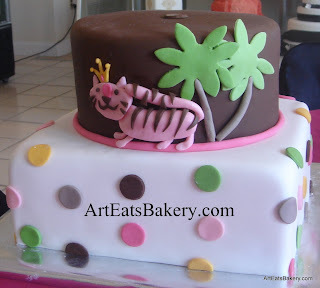 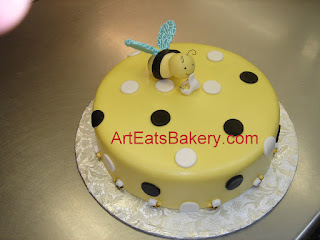 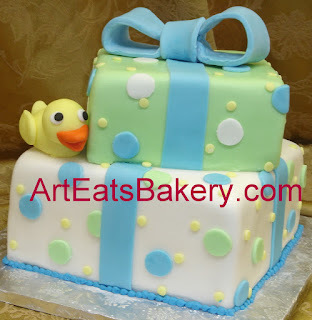 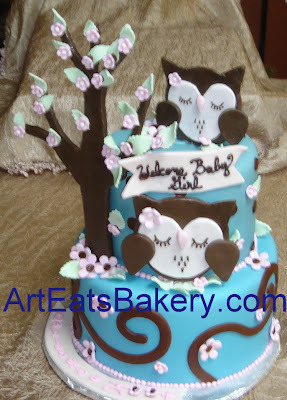 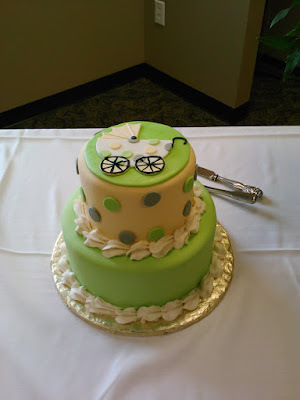 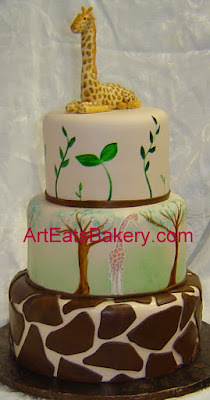 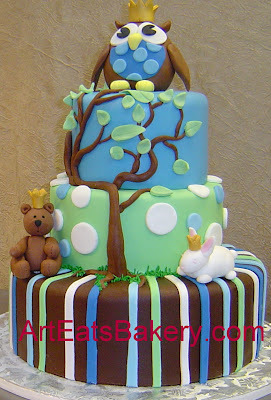 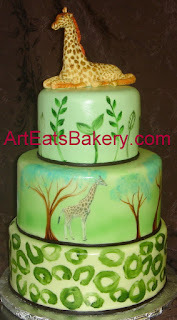 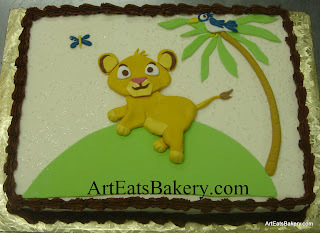 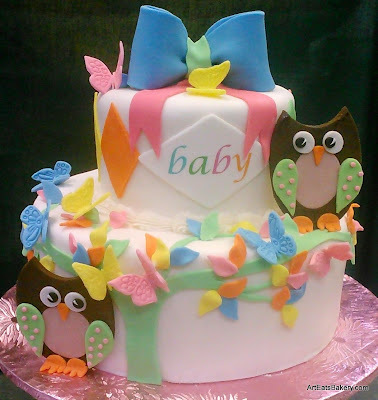 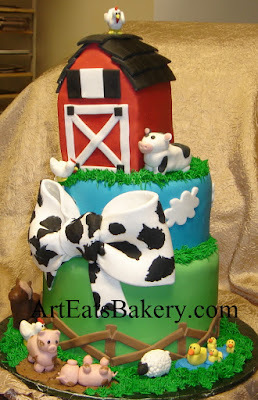 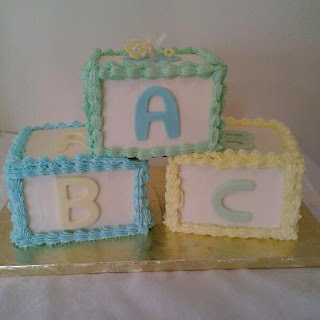 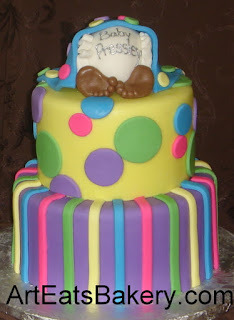 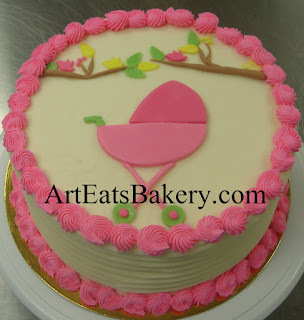 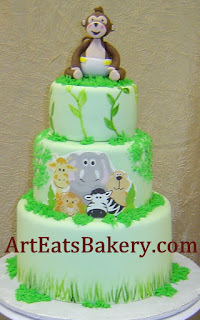 Some cakes we have done include owls, babies, cribs, Dr.Suess, bears, jungle animals and baby bumps. 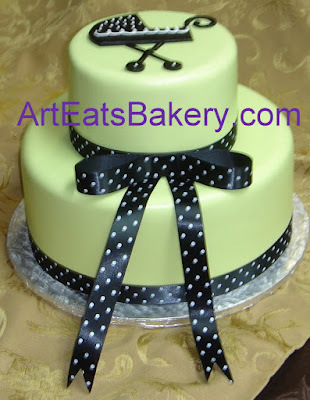 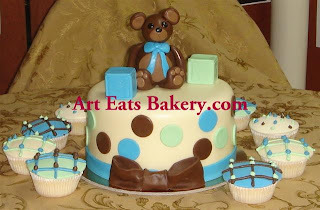 Art Eats Bakery can make ANY cake design you can imagine, just supply us the pictures and Contact Us! 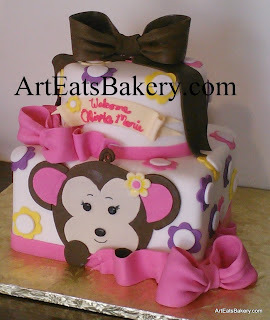 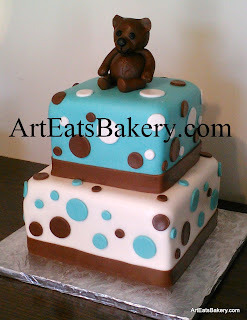 Modern fondant baby shower cake with 3D edible teddy bear, toy blocks and fondant polka dots and bow. 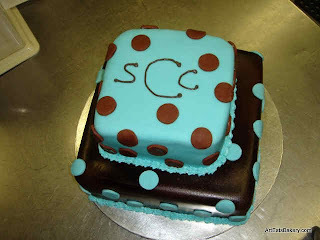 Matching cupcakes with diamond design. 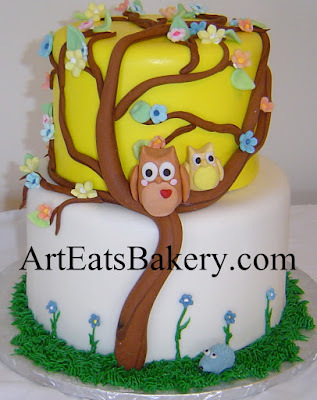 Custom cute 3D fondant honey jar baby shower cake with sugar candy "honey" dripping down. 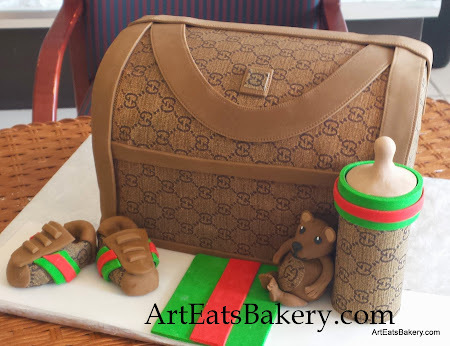 All edible! 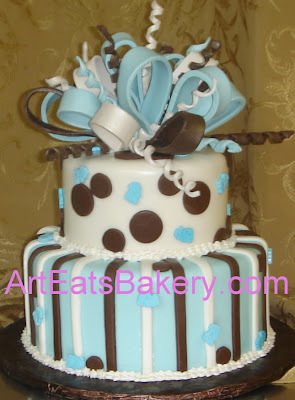 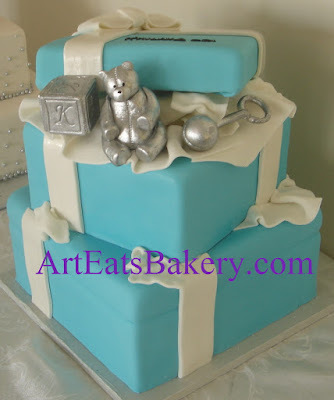 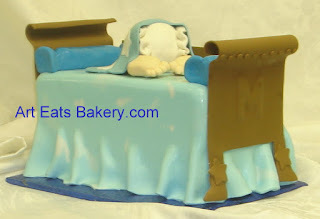 Tiffany style blue fondant presents custom creative baby shower cake design with silver toy block, rattle and teddy bear. 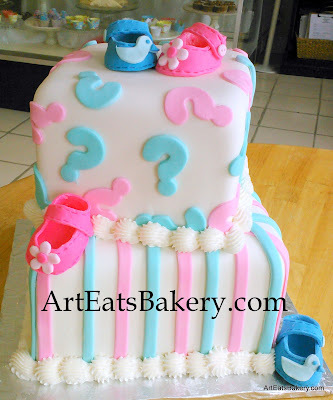 Below are links to the Boys & Girls Baby Shower Cake Pages!